Vinyl pearlized squishy soft dinosaur toys make a great party favor. Stretch and squeeze these pearlized dinosaurs for some prehistoric fun. 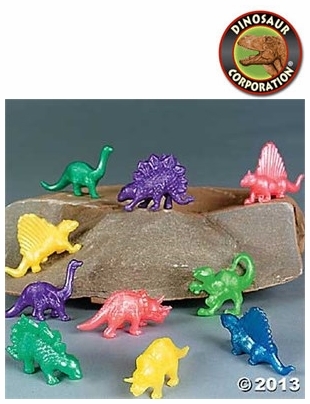 ▪ Small Dinosaur Toys, 2", 96 pcs. Small Dinosaur Toys, 2", 96 pcs.